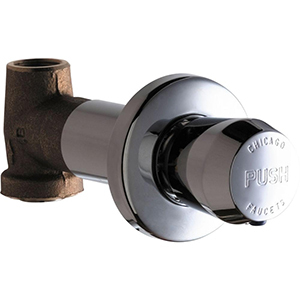 In-Wall push button metering faucets are great for outdoor showers, pool rinse areas and beaches. Self closing shower valves work well at conserving water and protecting against vandalism. We also offer Water Temperature Mixing Valves to supply balanced hot and cold water to the push button unit.